Ready for a break? Get more award nights with Hilton’s 5th night free perk on award stays! With the limited-time highest ever offers on the Hilton Honors™ Card from American Express and Hilton Honors™ Surpass® Card from American Express cards, you can earn enough Hilton points for a 5-night stay worth hundreds of dollars at Hilton hotels around the world! Get the 5th Night Free at Hilton Hotels Near and Far! 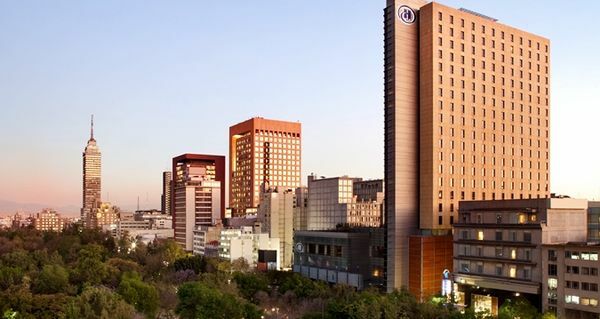 I’ll Show You 5 Fantastic Hotels Where This Perk Stretches Your Points and Helps Your Wallet, Like the Hilton Mexico City Reforma! I’ll show you my favorites. And how much you’ll save! And, you can earn 75,000 Hilton points after you spend $1,000 on purchases in the 1st 3 months of opening the American Express Hilton Honors card. This card has NO annual fee. You get the 5th night free on award stays if you’re a Hilton elite status member. 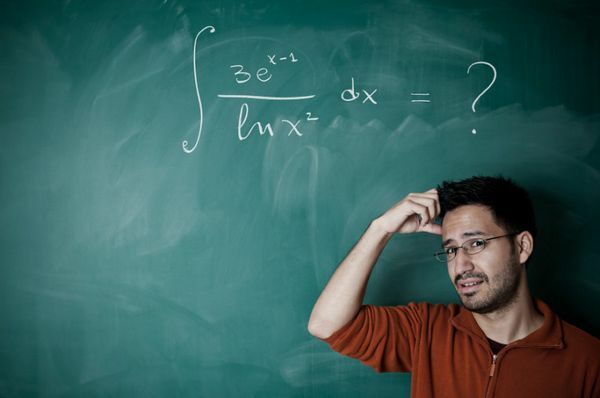 Does the Hilton 5th Night Free Math Have You Scratching Your Head? It’s Calculated Automatically as Long as You’re Logged Into Your Hilton Account! The free night is calculated based on the average nightly value of the stay. This is calculated by dividing the total point cost of all nights by the number of nights in the stay. And here’s an example of how it works in practice. While it may sound complex, it’s very easy if the award stay costs the same number of Hilton points each night. In that case, simply subtract the last night. I’ve found this happens more often than not. 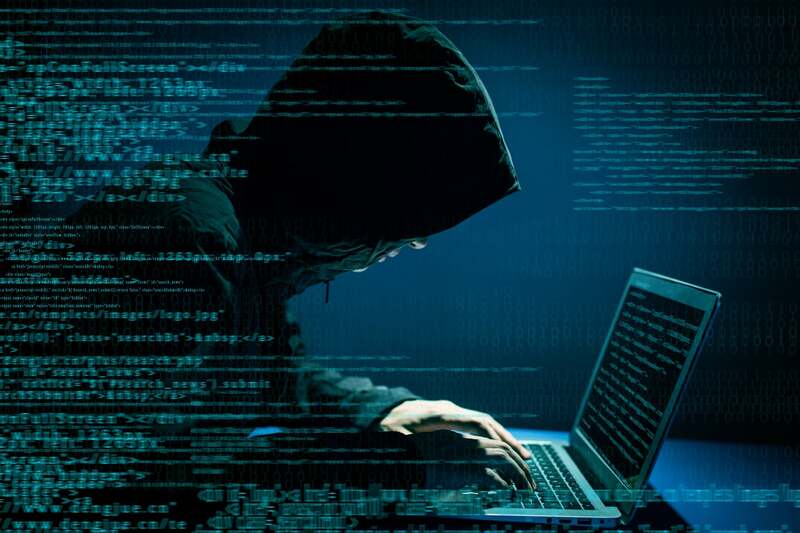 And don’t worry, you don’t have to memorize any math – Hilton calculates it for you, as long as you’re logged into your Hilton account. You can use the 5th night free benefit an unlimited number of times, but you can’t get more than 4 free nights at once (so 20 nights is the maximum for each stay). Five Hilton Hotels Where the 5th Night Free Saves You Money AND Points! I’ve written about how to get free nights on paid and award stays. Now let’s look a few specific examples for Hilton hotels. 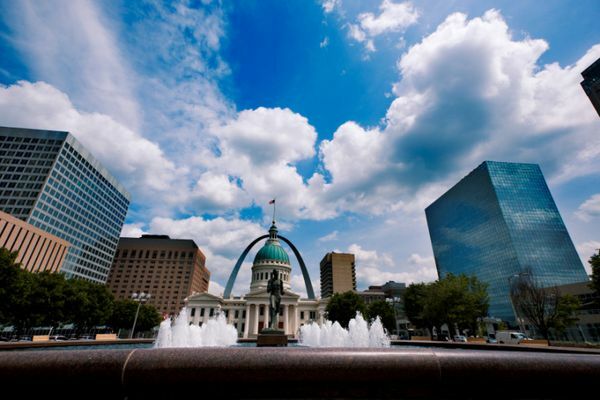 If you’re in St. Louis to watch a Cardinals game, visit The Arch, or participate in the 2nd-biggest Mardi Gras celebration in the country after New Orleans, you can enjoy 5 nights at the Hampton Inn St. Louis Southwest with 80,000 Hilton points. This is a good example of Big Travel with Small Money right here at home! Five nights would cost ~$811. Or, because this is a Category 3 hotel, you could redeem 80,000 Hilton points. You’ll have nearly that many points once you meet the minimum spending requirements on the American Express Hilton Honors card. For a card with no annual fee, that’s an excellent sign-up bonus! And at Hampton Inn you get free hot breakfasts, even without status! This hotel also has a fitness center and outdoor pool. 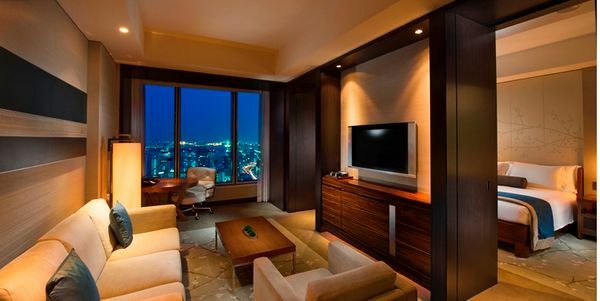 The DoubleTree by Hilton Hotel Beijing is another excellent deal for your Hilton points. Five nights here cost ~$705. Or 40,000 Hilton points all year-round if you can find dates that work. Want to Visit Beijing or Other Cities in China? 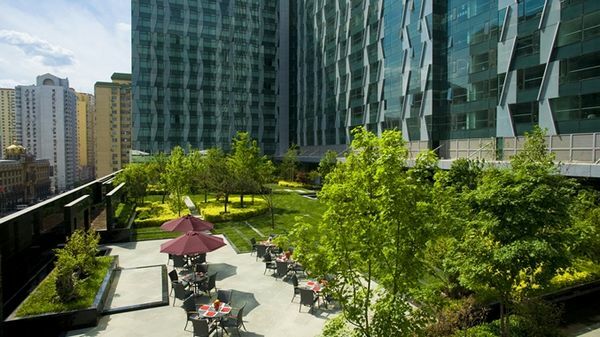 Save Over $700 on a Stay at the DoubleTree by Hilton Hotel Beijing! This hotel is a great starting point for exploring the Forbidden City, Temple of Heaven, or Tiananmen Square in Beijing. You could even do a day trip to see the historic Great Wall of China! This goes to show there are many diverse ways to use your Hilton points! For a visit to Colombia, consider the Hampton by Hilton Bogota – Usaquen. It’s in the northern part of the city, in the Usaquen neighborhood. You’ll be easy walking distance to restaurants, cafes, shops, and nightlife. And near downtown Bogota. 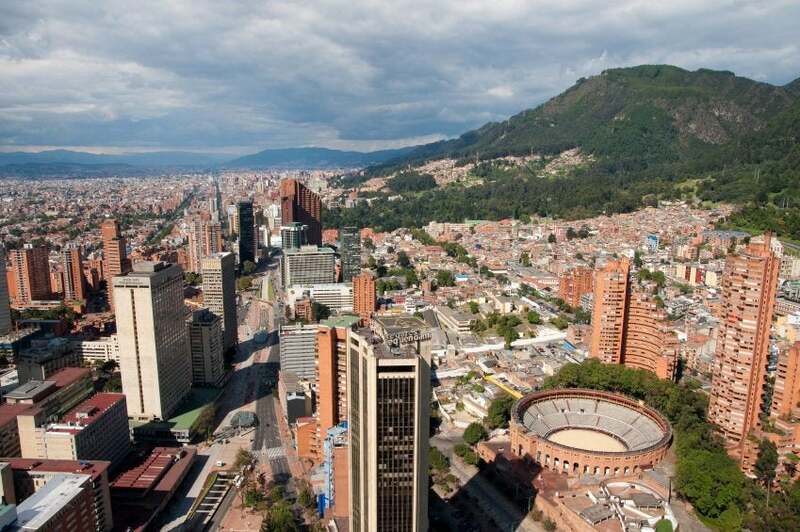 Get a Stay Worth Nearly $500 in Vibrant Bogota With Hilton Points! Folks on TripAdvisor gave this hotel lots of 5-star reviews. And loved the street markets and surrounding area! Five nights here would cost ~$496, or 40,000 Hilton points. Again, you’ll have enough points with the American Express Hilton Honors Surpass OR American Express Hilton Honors card to get 2 five-night stays in similar Category 2 hotels. So your sign-up bonus on either card can easily be worth over $1,000 toward Hilton stays! And because it’s a Hampton hotel, you’ll get free breakfasts during your stay. 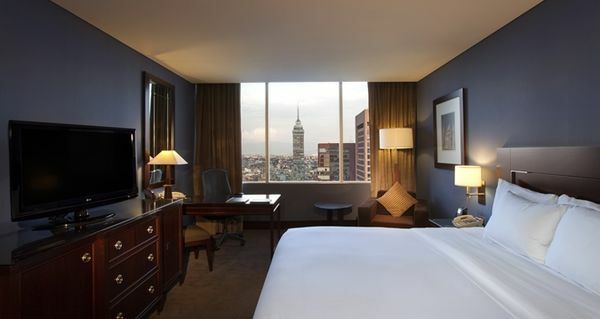 The Hilton Mexico City Reforma is a 5-star hotel in downtown Mexico City. Folks on TripAdvisor love the area because it’s walking distance to many historical sites, shopping, and restaurants. This is a Category 4 hotel, which costs 20,000 OR 30,000 Hilton points per night depending on when you stay. I found a room at the higher rate. That means you get 5 nights for 120,000 Hilton points. But depending on when you travel, you can find a 5-night stay for 80,000 Hilton points. You’ll have at least 109,000 Hilton points after completing the minimum spending requirements on the American Express Hilton Honors Surpass card. If you can earn more Hilton points, they’ll cover the ~$1,184 you’d pay in cash for this stay. This hotel is ideal for a splurge at a fancier Hilton hotel. And it’s an even better deal with the 5th night free! 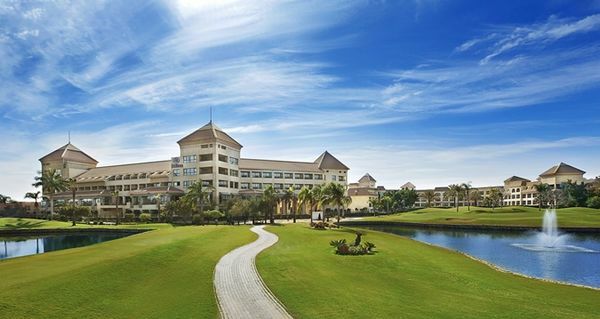 If you like to golf, the Hilton Pyramids Golf Resort should be on your list because it’s a great deal with Hilton points! It’s located in Cairo, with views of the ancient Great Pyramid of Giza. It has a pool with swim-up bar, a kids play area, and several on-site restaurants to enjoy. And for golfers, there are 3 courses to choose from! 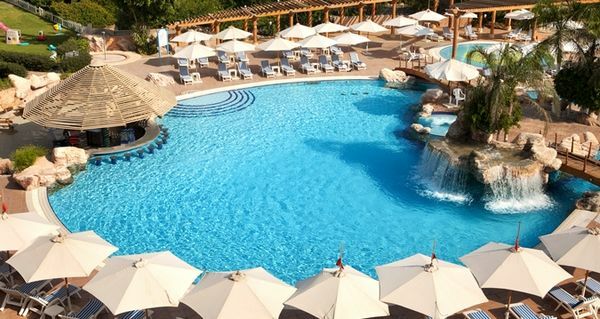 The Hilton Pyramids Golf Resort Is a Bargain for a Trip to Egypt, Especially If You Like to Golf! Even if golfing isn’t for you, this hotel is an example of the great deals you can get at Hilton Category 2 hotels with Hilton points. A 5-night stay here out-of-pocket would cost $900. Or you can pay 10,000 Hilton points per night. And because the 5th night is free, you’ll only pay 40,000 Hilton points for your entire stay. That’s a fantastic deal! 80,000 Hilton Points Is Enough for 10 Award Nights at Category 2 Hotels With the 5th Night Free! That Gives You Plenty of Pool Time! In fact, you’ll have close to 80,000 Hilton points once you meet the minimum spending requirements on the American Express Hilton Honors card. That’s enough for 2 five-night stays at Category 2 hotels. In this example, they’d be worth $1,800 toward your family vacation or romantic getaway. And with the American Express Hilton Honors Surpass card, you’d still have over 20,000 Hilton points to use toward your next trip! There are lots of ways to earn Hilton points if you’re close to an award stay. 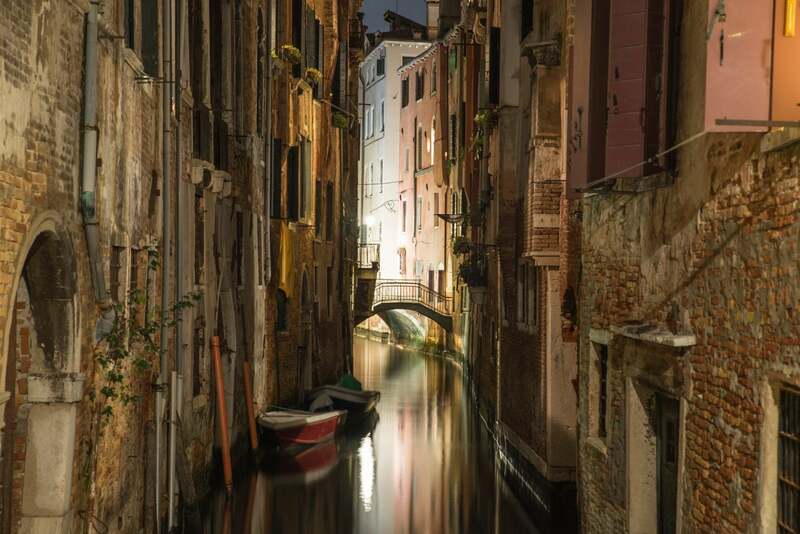 Hilton’s 5th night free perk on award stays can be your ticket to Big Travel With Small Money! That’s because you’ll get more free nights and pay fewer points, which helps you save money and stretch your points farther. To get this benefit, you need Hilton elite status. You’ll get automatic Hilton Silver elite status with the American Express Hilton Honors card. And the American Express Hilton Honors Surpass card comes with Hilton Gold elite status. Both of these cards have highest-ever limited-time offers through May 4, 2016. You’ll earn 100,000 Hilton points after spending $3,000 on purchases in the 1st 3 months of opening the American Express Hilton Honors Surpass card. And 75,000 Hilton points after you spend $1,000 on purchases in the 1st 3 months of opening the American Express Hilton Honors card. Let me know if you’ve gotten a great deal with the Hilton’s 5th night free perk! In answer to somebody’s question, unfortunately, you can’t get the 5th night free at all inclusive resorts. I recently booked the Jewel Paradise Cove in Jamaica and had to use Points + Cash for my fifth night. If you already have a Citi Hilton HHonors Visa Signature card, can you also get one of these Hilton AMEX cards tied into the same HHonors account? @tassojunior @Mel – I’ve updated the photo. Thanks for letting me know! @Jenny – No, because the Citi Prestige 4th night free benefit is only for paid stays. And the Hilton 5th night free benefit is only for award stays. @jenny – Yes, you can! @texasguy77 – That’s great news if you got the offer! looks like existing Hilton Honors Amex cardholders can upgrade to Surpass and still take advantage of the 100K points offer.